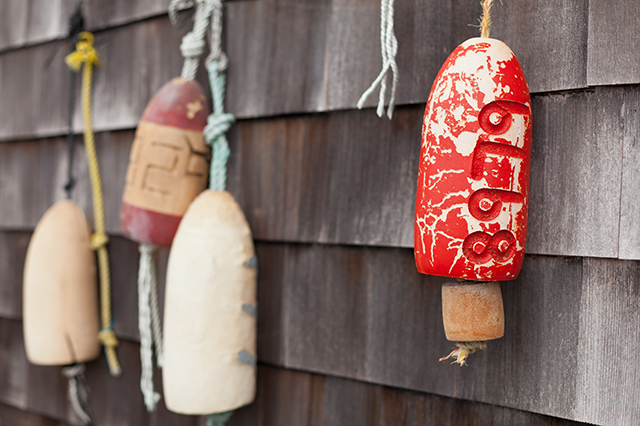 Mystic is the perfect place for coastal Connecticut getaways that the whole family can enjoy. 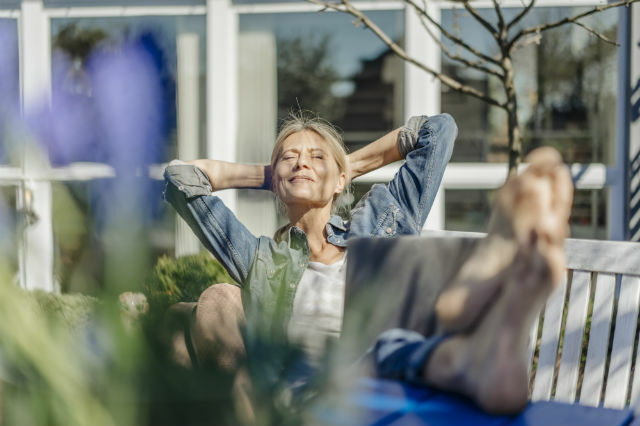 Here's how to make it work with whatever budget you have. A boat docked at Mystic, the perfect place for Connecticut getaways. If you’re interested in coastal Connecticut getaways the whole family can enjoy, look no further than Mystic. 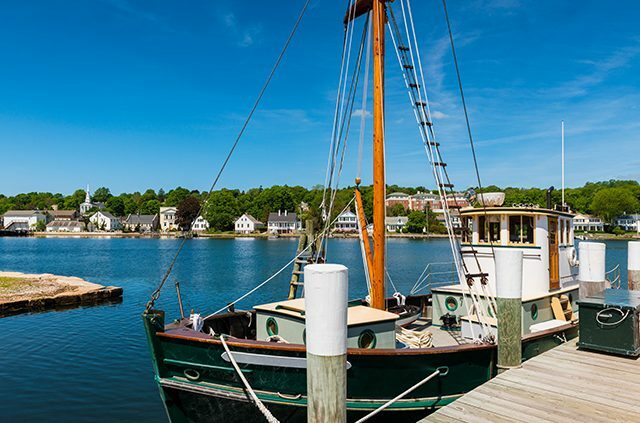 Not only does this charming New England village have deep maritime roots, which you can explore at the thoroughly engaging Mystic Seaport, but it has plenty of seafood restaurants, shopping opportunities and wineries nearby. If you’re in the mood for gaming, nightlife and world-class dining, the area’s two casinos – Foxwoods Resort Casino and Mohegan Sun – have got you covered. Stay: Just a few minutes from attractions such as the Mystic Aquarium, the Hilton Mystic offers well-equipped, modern rooms (and free Wi-Fi), along with an indoor pool, a fitness center and, in season, a courtyard with comfy couches and fire pits. A free shuttle takes guests to spots within a 5-mile radius of the hotel. The Irons, its casual eatery, serves up burgers – including a veggie option – locally sourced seafood (think East Coast dayboat halibut with sweet corn succotash and whipped carrots), fun dishes like lobster poutine and craft beer. 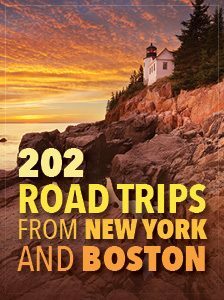 Download our FREE gift, Fun Places to Visit in the Northeast: 202 Road Trips from New York and Boston. Do: Mystic Seaport is a must for any visitor (AAA members save $3 per ticket). Highlights of the 40-acre complex include a re-created 19th century village with various businesses, a planetarium, and the Charles W. Morgan, the oldest surviving wooden whaleship in America. You can also see craftspeople repair historical vessels in the shipyard and check out the seaport’s collection of antique wooden figureheads. Dine: You’ve no doubt heard of Mystic Pizza, the famous pizzeria which inspired the movie of the same name starring a young Julia Roberts. Well, you can’t leave town without trying a slice. Order the classic pie or one of the specialties, such as the seafood delight, topped with shrimp, clams and scallops, or the chicken teriyaki with chicken, peppers and pineapples. End dinner on a sweet note with an order of Greek rice pudding or a slice of apple pie. 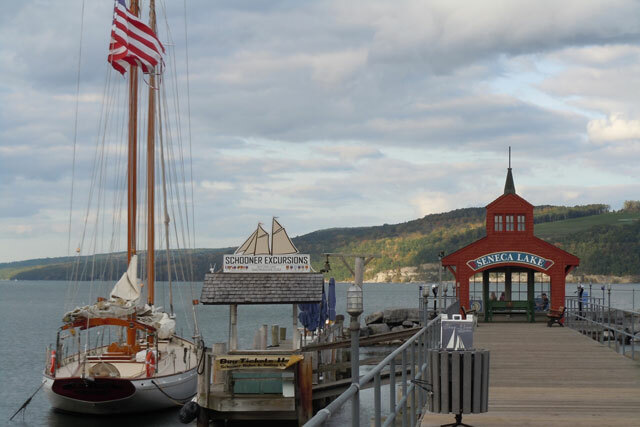 Mystic is full of nautical charm, making it one of our favorite Connecticut getaways. Stay: Amenities at the 57-room Inn at Mystic include an outdoor swimming pool, tennis court, walking trails and complimentary continental breakfast on weekday mornings. Standouts at the on-site restaurant, Harbour House, include Cajun-style fish tacos, lobster crepes and crabmeat-stuffed sole. Tuck into a weekend brunch, where specialties like chocolate chip bacon pancakes and lobster Benedict tempt hungry diners. Do: One of the best Connecticut day trips you can take involves the Mystic Aquarium, which features an array of nautical creatures like beluga whales, stingrays, African penguins, jellyfish and sea lions. Brave visitors can pet a gentle shark and learn how to hold a crab, while the more demure can enjoy a sea lion show or take in a movie at the 4-D theater. Adults will enjoy adjoining Olde Mistick Village, a shopping and dining complex that resembles an 18th century New England community. Dine: A great spot for lunch is the waterfront S&P Oyster Company – start with oysters, followed by shrimp scampi or blue crab ravioli. Another seafood spot is Red 36, with delicious lobster rolls, creative cocktails and exotic dishes like Thai peanut calamari and five-spice duck wings. Enjoy clam chowder and a burger in the Colonial-era Captain Daniel Packer Inne, which is said to be haunted. Stay: Spicer Mansion, housed in a former sea captain’s home built in 1853, has been transformed into an exclusive inn with just eight rooms, each individually decorated. Have a cup of tea by the fireplace in the parlor, tuck into a six-course tasting menu in the restaurant, or take a stroll in the manicured gardens with a picnic lunch packed in a charming wicker basket. Do: Winery tours and tastings make great Connecticut day trips. Stonington Vineyards produces rose, chardonnay and cabernet franc, among others, while Jonathan Edwards Winery has a selection of merlots, pinot gris and cabernet sauvignon. Or sip on a sauvignon blanc or cabernet rose while taking in the beauty of the nature preserve setting at Saltwater Farm Vineyard. Nearby are Foxwoods Resort Casino and Mohegan Sun, both AAA Four Diamond Rated resorts, with casinos, restaurants, entertainment and spas. Dine: Savor locally sourced seafood at the Oyster Club, which has creative New American dishes on the menu including pan-roasted fluke with black beluga lentils. Enjoy your meal on the upstairs deck in warm weather. Craving a steak? Head to David Burke Prime at Foxwoods, which features a Himalayan pink salt-brick aging room. Feeling indulgent? Try the Grade A wagyu filet mignon, or dig into the Prime Tower raw bar appetizer, which features a 1-pound lobster, mussels, Alaskan king crab legs, oysters, scallops and jumbo shrimp. 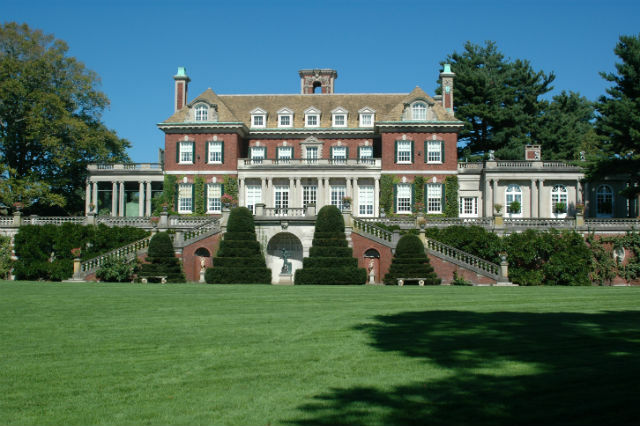 For more great Connecticut day trip ideas and to book a trip for a weekend, click here. Article tags: AAA, brunch, casino, casinos, Connecticut, connecticut day trips, connecticut getaways, day trip ideas, day trips, dinner, england, entertainment, fitness, fitness center, home, house, lunch, menu, mohegan sun, Mystic, Mystic Aquarium, Mystic Seaport, Olde Mistick, resorts, resorts with casinos, restaurants, save, seafood restaurants, spas, the hotel, the restaurant, tours, travel, trip, walking trails. Sign Up for Our Free Newsletters Today! Remember Me This setting should only be used on your home or work computer.